Sotheby’s second sale of Modern & Contemporary African Art realised £1,802,750 GBP / $2,555,038 USD in London (pre-sale estimate: £1,167,500 - £1,707,000 / $1,654, 698 - $2,419,331 USD) and set fourteen auction records in this category. Ben Enwonwu, whose work Africa Dances (cover image) achieved six times its high estimate to sell for £187,500 / $265,744 (est. £20,000 - £30,000). Njideka Akunyili Crosby's À La Warhol, a self-portrait inspired by the silk screen portraits of Andy Warhol, sold for over double its high estimate to reach £200,000 / $283,460 (est. £50,000 - £70,000). Numerous Congolese artists also shone, including Bodys Isek Kingelez, whose dynamic work Base King soared past its presale estimate to sell for £42,500 / $60,235 (est. £10,000 - £15,000) and Eddy Kamuanga Ilunga’s Mangbetu, which achieved a whopping £65,000 / $92,124, storming past the pre-sale estimate (est. £8,000 - £12,000). All but one of ten works offered from the collection of philanthropists Jerome and Ellen Stern sold for a combined total of £197,875 / $280,447. This followed Sotheby's New York sale of further works from their collection 'To Live with Art': Property from the Jerome & Ellen Stern Collection earlier this year. 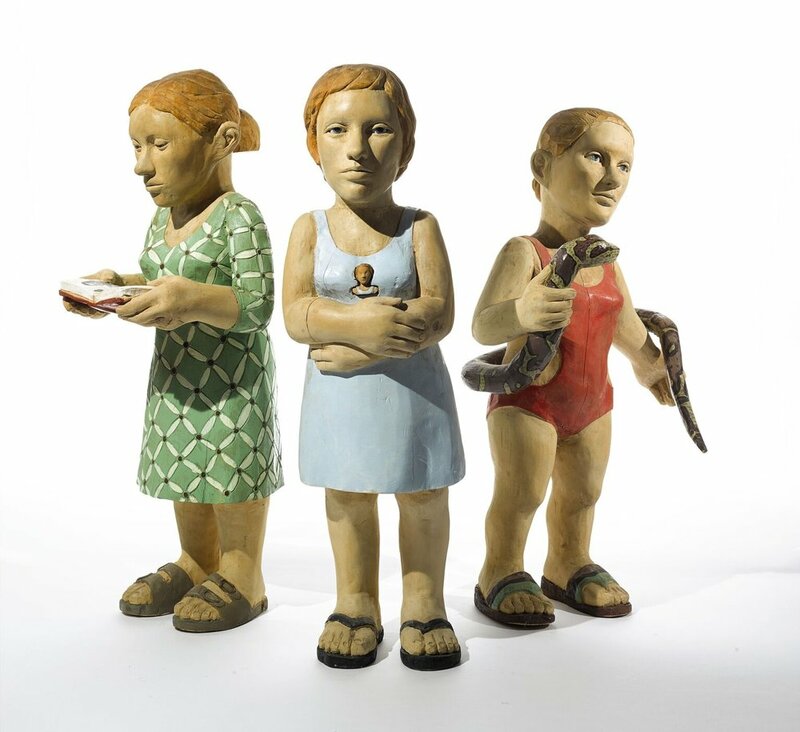 The top lot was Claudette Schreuder's Three Sisters, which sold for £60,000 / $85,038 (est. £18,000 - £22,000). Ibrahim Mahama’s jute sacks and mixed media piece Chale Wote, which sold for £75,000 / $106,298 (est. £60,000 - £90,000). Ivorian artist Frédéric Bruly Bouabré achieved strong results for Une cruelle Humanitié, tripling its pre-sale estimate, reaching £40,000/ £56,692 (est. £10,000 - £15,000) and securing an auction record for the artist.